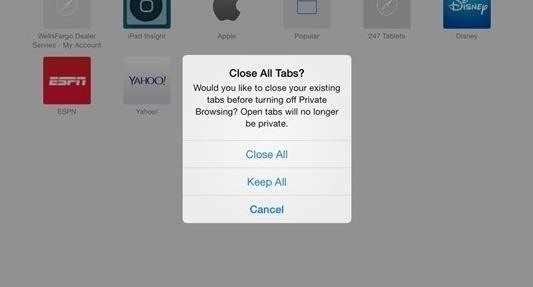 Thanks to a tip from Redditor ILikeToSpooner, we know that when you exit Private Mode in Safari on iOS 8, you're no longer asked if you want to close all tabs in the window like you were in iOS 7. This dialog box would ensure that you could easily close all of the tabs you were surfing in Private Mode, which more than likely you didn't want seen by others. However, in iOS 8, this prompt is absent. Instead, when you exit Private Mode, you're taken to your regular Safari tabs. When you go back into Private Mode, any tabs that were opened are still available for anyone to see. 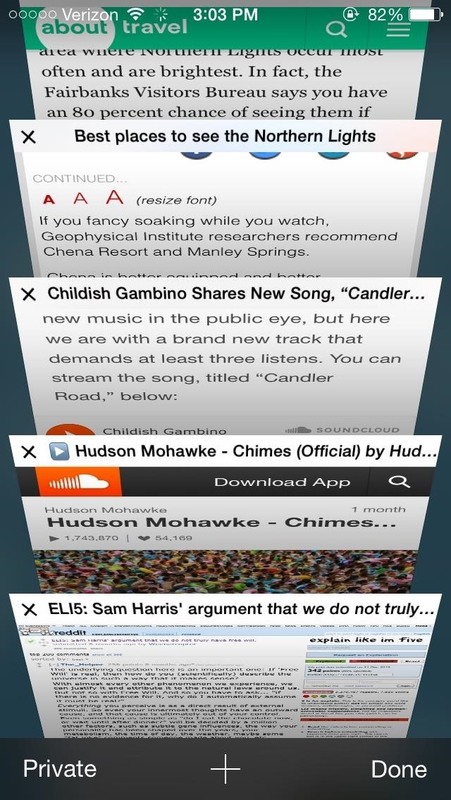 (1) Regular Safari tabs. (2) Still present Private Mode tab. This is a big change from previous behavior of Private Mode, most likely due to the fact that private and regular browsing modes shared the same window previously instead of getting their own, and switching over meant that all of your private tabs would be converted to non-private tabs, unless you closed them all. 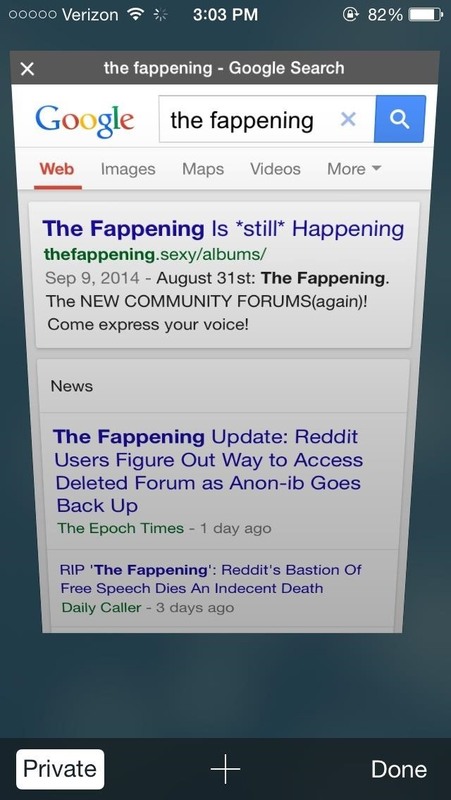 Still, if you're not cautious in iOS 8, it can cause some unnecessary grief. So, be careful—manually close out your Private Mode tabs—or maybe try a third-party browser with better privacy options. At least until Apple comes to their senses and adds passcode-protection for the Private window. If we ever get that, you could leave those tabs open all you want. To see what else you can do in Apple's latest mobile operating system, check out the Coolest Hidden Features of iOS 8, as well as 14 Risky iOS 8 Privacy Settings, Top Hidden Features in Messages, and our other iOS 8 tips. Apparently it doesn't work after closing and reopening safari. Thanks for nothing Apple.